Why would anyone want to seal up the book of Revelation? Unfortunately, that’s what some students of Scripture and even Bible teachers have done to varying degrees; even though keeping Revelation unsealed is a direct decree to the author, John. Writes John in the last chapter of Revelation: “Then he instructed me, ‘Do not seal up the prophetic words in this book, for the time is near’” (Revelation 22:10). Many believers to all intents and purposes have inadvertently sealed the book of Revelation by seldom reading it and rarely studying it. They consider much of it to be unknowable, to be sparingly discussed … compared to say, the Gospels or Epistles. When, in fact, Revelation is the only book that promises a special blessing to those who listen to and obey it … intently scrutinize, passionately pursue, long to learn (Revelation 1:3 & 22:7). Proportionally, most pastors/teachers, commentators, and believers in general spend much more time and space on other books of the Bible. Fortunately, for the most part, prophecy pundits actively have sealed only portions of two chapters … Revelation 13 & 17. Why would the angel even tell John not to seal up the words in this book? What does it mean to “seal up” (conversely, not to seal up)? That question can best be answered by examining a similar instruction to another prophet some 600 years before Revelation was written. However, that directive was in reverse; one that believers are more familiar with than the one in Revelation. “But you, Daniel, keep this prophecy a secret; seal up the book until the time of the end, when many will rush here and there, and knowledge will increase” (Daniel 12:4). *Note: Whatever generation would experience the Day of the Lord (beginning with the Rapture) would be the one with the cutting-edge advancements in knowledge, transportation, and communication. That could have applied to virtually any period (age, generation) since Jesus ascended back to heaven. For sure the rushing around and increase in knowledge has taken on a whole new meaning in our age of rapid transportation and computerized communication. But there was also a good deal of movement in the first century facilitated by the remarkable Roman highways. So, too, had knowledge dramatically increased hundreds of years after Daniel’s prophecy, precipitated by and attributed to Greek, Roman, and Jewish thinkers. Every generation could have made claim to this verse in Daniel regarding the “latest” technology, or the most contemporary possession and display of arts, science, literature, and knowledge in general (Page 277). Daniel and Revelation are the only books of Scripture in which the authors are told to: (1) seal up the book; (2) don’t seal the book. That former article was published 11-15-14 and was only the 14th in the category of Antichrist, with a total of 68 articles at that time posted in the five categories of Eye of Prophecy website (total of 281 articles to date). Because there have been an additional 40 articles in the category of Antichrist since then, today’s post is a revisit review of that significant statement to John and its relevance to the persuasive premise that the identity of Antichrist can be known. In fact, it was known by early (1st – 5th century) Christians! Today’s post includes a few verbatim quotes from that previous article, but also substantial revisions (deletions, additions, modifications) to the content. Plus, pictorials not present in the original article. For that reason, only the first three paragraphs of Seal of Approval will be italicized, which is done if I include excerpts from prior Eye of Prophecy articles in the current post for that week. Any subsequent excerpts will not be italicized, to ensure continuity and to maintain a stand-alone status for this week’s post. But we can know … we should know! Why can I make such a bold assertion? Because Scripture not only encourages such a discovery, it challenges us to figure out who the prophets and apostles are referring to. That he was not just a future tense despot to the prophet Daniel, but a present tense ruler during the Apostle Paul’s lifetime and a past tense monarch shortly before the book of Revelation was penned. One of the most well-known verses sometimes quoted in my past writings on the beast of Revelation (as well as by many students of prophecy), but one that bears repeating: “Wisdom is needed here. Let the one with understanding solve the meaning of the number of the beast, for it is the number of a man. His number is 666” (Revelation 13:18). In ancient Greek manuscripts the number 666 is written out … six hundred, sixty-six. Which is essential to accurately calculate the number (therefore, identity) of the Antichrist beast, i.e. through Hebrew Gematria—counting by the alphabet. Are you thinking what John and 1st century believers were undoubtedly asking themselves? Is the angel suggesting that we can know (solve) the meaning of the beast’s number? He’s not only suggesting it; he’s saying that it could and should be done—with a good dose of wisdom and understanding. By whom? By the believers of that time! And, by believers (or even unbelievers) thereafter … to this very day! A rhetorical question: Are there any restrictions identified or conditions imposed on the reader, whether someone reading it in the first century or in this current generation, that directly state or remotely imply that discernment of the meaning of the number applies only to those left behind at the Rapture? The verse unambiguously encourages the reader of that time to, “solve the meaning of the number of the beast.” And when that is unscrambled, the identity of the beast will be revealed; because, “It’s the number of a man.” Not man in general, but “a” man. Think about it: There would be no reason whatsoever to decipher the number of this man after the Rapture. Early in the Tribulation his globally broadcasted name and physical appearance to the whole world will be enough to know who he is, especially after he orchestrates the seven-year treaty. Right?! The only deliberation necessary for those left behind is whether to take his name or his number on their forehead or right hand. Do not seal up the prophetic words in this book, for the time is near (Revelation 22:10). Daniel was told to seal his book because some of his prophecies weren’t germane to his generation, nor to several generations afterward. Obviously, the sealing of Daniel’s book wasn’t meant to be a literal fastening commonly used in those days, especially by kings and officials who wanted their documents to be tightly guarded for both privacy and safety until they were to be unsealed (opened) and read. For one thing, much of Daniel’s book was a journalistic record of past and present events that occurred during his decade’s long exile in Babylon. Paraphrasing, Daniel was told to: Place his prophecies in storage. Whereas, John was instructed to do just the opposite. First century Christians, especially Jewish Messianic believers who were well-versed in the writings of the Old Testament prophets, would have immediately made the connection of the angel’s caution to John as a striking contrast to the admonition given to Daniel. Bible scholars have accurately explained that the instruction to Daniel was necessary because fulfillment of (many of) Daniel’s visions wouldn’t take place until the time of the end. Likewise, several students of prophecy correctly place the beginning of the time of the end as the birth, life, death, resurrection, and ascension of Messiah Jesus, i.e. the New Covenant that birthed the Church. The Covenant of Grace, whose mediator (Messiah Jesus) fulfilled the Old Covenant of Law, hence the end of that Covenant. And the end times beginning with the New Covenant, which will culminate in the Day of the Lord commencing with the Rapture. Then the reappearance of Antichrist, the Tribulation, Second Coming of Christ, followed by the Millennium. “The time of the end” phrase used by Daniel is often transposed by modern Bible scholars (including me) to the end-times. That would certainly and preeminently include the glorious return of Messiah Jesus which was ardently anticipated by 1st century believers, including the Apostles. Hence, the imminent return of Christ. Early believers fully expected that Jesus would rapture his church in their lifetime. And, he very well could have. Paraphrasing: The Lord wants more people (born) to be born again—saved. The passage of some 2000 years is essentially irrelevant to the prophecies of Revelation. If the lapse of time was relevant, then the angel would have told John the same thing Daniel had been told. “Seal up the book until the time of the end…” But the angel didn’t say that; he said just the opposite. The time of the end (last days) began with Messiah’s birth in Bethlehem. We are now living in the last of the last days of the time of the end (Page 278). Similarly, this delay has no bearing whatsoever on the mystery unveiled to John … that the Antichrist was born, lived, and died in the 1st century before Revelation was even written. We’ll see that soon in another passage concerning the Antichrist, one that I’ve quoted often—in my book Out of the Abyss and in several Eye of Prophecy articles … Revelation 17:7-8. It is the springboard passage more than any other (but one that must be combined will ALL other Biblical passages about the Antichrist, then compared to 1st century history) that catapults us to this incredible, but nevertheless cogent conclusion: The Antichrist will not be a man born in the last generation before the Rapture—our generation … the Omega Generation. He was and will be upon his return: The Ruler of Daniel whose armies would destroy the rebuilt Temple, the Man of Lawlessness of the Apostle Paul’s time, and the Beast of Revelation who would reappear from the Abyss. He is the Antichrist … the Roman Emperor, NERO. Most have come to pass; some (Tribulation events) are still awaiting fulfillment. Of paramount significance: among those fulfilled are events that took place in the first century. At the end of these itemized prophecies in Daniel, I’ll give you the number (count) of those already completed and those awaiting fulfillment. Except for the succession (number) of specific details in Daniel 11:5-20 (treated as a whole in the context of the Seleucid/Ptolemaic dynasties), the component parts of the prophetic passages will be included in this count. 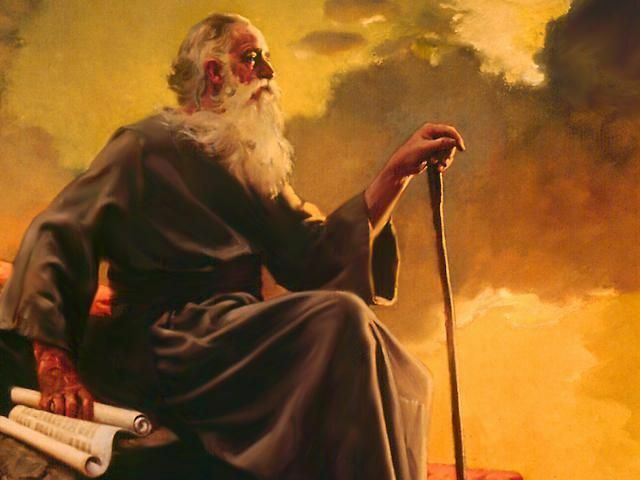 Prophecy (Daniel Chapter 2): Nebuchadnezzar’s dream of a colossal statue in four parts followed by Daniel’s God-given interpretation that these segments are four mighty kingdoms. The feet and toes (extension of the iron legs—Rome) of that statue represent the kingdoms in existence at the outset of the Tribulation. See Eye of Prophecy article, Brexit … What’s It All About? (Posted June 2016, providing a detailed analysis of this statue, in the context of England’s still-pending exit from the European Union). Also, the Kingdom of God on earth (Millennial Reign of Messiah) is described in Chapter 2, then later in Chapter 7. Fulfillment: Babylonian, Media/Persian, Grecian, and Roman Empires. Dates of those kingdoms listed in the below pictorial. Prophecy (Chapter 4): Another dream of Nebuchadnezzar; a tree, “…growing very tall and strong, reaching high into the heavens for all the world to see” (Verse 20). The tree directly depicted Nebuchadnezzar and indirectly Babylon; however, the tree would be cut down with only the stump and roots left. Fulfillment: During Nebuchadnezzar’s lifetime when, because of his pride in taking sole credit for Babylon’s rise to power, he became insane and lived among the animals for seven years. God restored him to the throne when the king acknowledged God as the one whose, “…rule is everlasting, and his kingdom is eternal. All the people of the earth are nothing compared to him” (Daniel 4:34-35). Prophecy (Chapter 5): The finger of God writing on the wall of King Belshazzar’s palace. 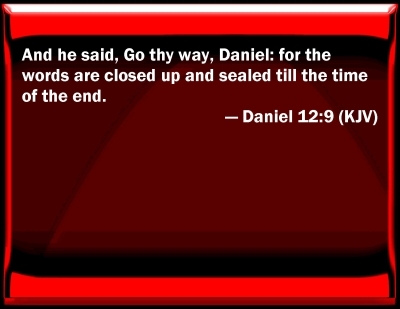 Once again, only Daniel knew the meaning of this prophecy, i.e. 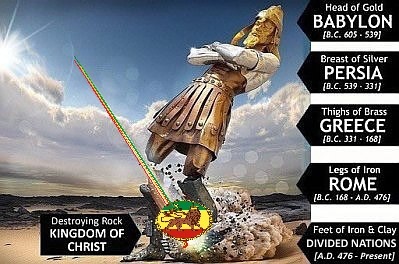 the imminent destruction of Babylon. Fulfilment: That very night, Babylon was conquered by the Persian Empire. Prophecy (Chapter 7): Daniel’s dream of four beasts … another prophetic vision of the four Gentile kingdoms. With, however, the main emphasis that of the fourth empire (Rome) producing a ruler who would reign over ten kings and their kingdoms after suddenly appearing among those kings. The ruler would not arise from a Revived Roman Empire, because there is no such empire in Scripture, either in Daniel or Revelation. Rather, this ruler would come directly from the original Roman Empire and he would “…try to change their (the Jews) sacred festivals and laws…” (Verse 25). Fulfillment: Same four kingdoms as in Daniel Chapter 2. However, Daniel 7:8, 11, 20-22, & 24-26 refer directly to the Tribulation period, thus still awaiting fulfillment. Prophecy (Chapter 7): A short but spectacular interlude that describes the return of Messiah Jesus to heaven, found in verses 13 & 14. Fulfillment: After Jesus ascended from the Mount of Olives, 40 days after his resurrection. See Eye of Prophecy article: Messiah’s Ascension & Coronation … Seen Long Before It Happened! Posted 5-27-17. Prophecy (Chapter 8): Daniel’s vision of the clash between the ram and goat. The large horn of the goat is a mighty king. When he passed from the scene, his kingdom would be split into four regions, “…but none as great as the first” (Verse 22). One of these four kingdoms would produce a king who would wreak havoc with God’s people. Chapter 11 then provides even more details about this ruler … which history clearly shows is Antiochus IV Epiphanes. Fulfillment: The angel who explains this vision to Daniel gets quite specific. He identifies the nations involved: Greece is the kingdom represented by the goat and Media/Persia the kingdom symbolized by the two-horned ram. History bears this out when Alexander the Great conquered Persia some 225 years after the prophecy. Chapter 8 also records the first instruction concerning the sealing of the book when Daniel is told: “…But none of these things will happen for a long time, so keep this vision a secret” (Daniel 8:26). Prophecy (Chapter 9): This is, arguably, the most stunning of Daniel’s prophecies. Like Chapter 7, it is a combination of what would transpire during the 1st century Roman Empire; plus, the Tribulation period. The prophecies are: The beginning of Israel’s atonement and final restoration; the exact time when Messiah would appear (483 years from the time the command would be given to rebuild Jerusalem’s walls—with this command also future tense—to the time of Messiah’s arrival); the death of Messiah; the rise of a ruler whose armies would destroy Jerusalem and the Temple (which hadn’t even been rebuilt yet!). Then fast forwarding to the Tribulation period—the subsequent treaty orchestrated by that same ruler to include breaking the treaty by canceling the Jewish sacrifices and offerings, as Daniel 7 said this ruler would do. Fulfillment: The command to rebuild the walls of Jerusalem issued by Persian King Artaxerxes in 445 B.C. ; Messiah Jesus’s triumphant entrance into Jerusalem in 32 A.D. exactly 173,880 days (483 Jewish calendar years) later; Jesus’s death on the cross providing individual atonement through his once for all substitutionary sacrifice; the Roman ruler (Nero) born shortly thereafter in 37 A.D., then ruling as Caesar 54-68 A.D.; Israel’s final redemptive restoration as a nation that began with the miraculous rebirth of Israel in 1948, but not complete until the Great Tribulation ends. See Eye of Prophecy articles: The Most Panoramic Prophecy in the Bible I & II (Published 1-13 & 1-20-18). Prophecy (Chapter 11): Detailed prediction of the political intrigue and wars between two of the four divisions of Alexander’s kingdom. Specifically, the Seleucid and Ptolemy dynasties, with primary focus on Antiochus IV and his deplorable exploits in Israel (Verses 1-32). Then beginning in verse 36 to the end of the chapter (with verses 33-35 a transition period), portrayal of an even greater tyrant who would do some of the same things as Antiochus but on a global scale and not until the very last days of the end times, i.e. Antichrist. 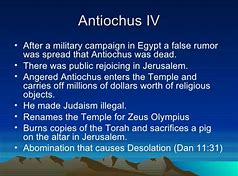 Fulfillment: Alliances and wars between Syria and Egypt, culminating in Antiochus IV’s invasion of Israel, desecration of the rebuilt Temple, then opposition from some of God’s people who would resist this megalomaniac (Verse 32). Those who resisted and went on to defeat Antiochus and his superior army in the 160s B.C. were the Maccabees and their faithful Jewish followers. Prophecy (Chapter 12): Three more predictions, all related to the Tribulation. Time/space does not permit elaboration (as has been done in my book Out of the Abyss and a few Eye of Prophecy articles). Prophecies fulfilled by 70 A.D (destruction of the Temple) … Ten. Prophecies Remaining to be fulfilled during the Tribulation … Eight. Recap: After the Roman destruction of the Temple, Daniel’s prophecies were effectively unsealed, because many of them (eight of the ten after Daniel’s time) had already taken place before or during the 1st century when Revelation was written. Even the predictions in Daniel that hadn’t yet occurred could now be understood by 1st century believers because the main focus of those still pending prophecies was on the ruler who would arise from the Roman Empire (the 1st century ruler who had already lived and died) would be the SAME ruler who would suddenly reappear from the Abyss, arrange a seven-year treaty, and take control of a ten-nation confederation, i.e. the ten Tribulation kings of Daniel 7, Revelation 13 & 17. Plus, all the pending (Tribulation) prophecies of Daniel were revisited and then amplified in the book of Revelation. Thus, the book of Revelation was also effectively unsealed and should be kept that way. Among other things, to seal Revelation would be to disregard and even discard the clear challenge to unravel the compelling clues given by the angel to John; thereby, identifying the Antichrist. The striking significance for the need not to seal (withhold, keep to himself, temporarily set aside, or postpone for a later time) ANY PART of the book of Revelation is that all the revelations given to John were immediately relevant to the believers of that day. In fact, we can with a great deal of assurance and authority carry this a step further and state: The revelations were applicable first and foremost to believers of the first century. There’s more to that statement than just the obvious. The early Christians knew that if Jesus should imminently take his bride (the Church) to heaven, then the remaining end-time Biblical prophecies would begin to unfold immediately thereafter. A prophetic puzzle solved by any 1st century Christian who kept abreast of the first two Roman Dynasties … Claudian and Flavian. That is why the angel told John not to seal up the prophecies of Revelation. Unlike the prophecies of Daniel which were mostly for the distant future: (1) the centuries leading to and including the first advent of Messiah Jesus; (2) those exclusively for the Tribulation; that, however, could have begun in the 1st century. Therefore, the disclosures to John of Patmos were applicable to his readers then and there. Once again: because Jesus could rapture his Church at any moment! Which would be an instant catalyst to the Great Tribulation and reappearance of the beast. Satan has no clue exactly when the Rapture would take place, any more than we (people) do. Consequently, there’s no way that Satan would have time to select his man of sin on the spur of the moment. Nor would or did Satan try to prepare a tyrant from every generation since the first century, as some suggest. For several reasons, with time/space limited in today’s article to just one reason. However, it is the most obvious: Satan’s choices are extremely limited. He would have to choose a man who had already been confined to the Abyss! Moreover, in all of Scripture, there’s only one man who has been banished to the Abyss, unlike all other unbelievers who end up in Hell after they die. The Abyss and Hell are two totally separate places in Scripture. 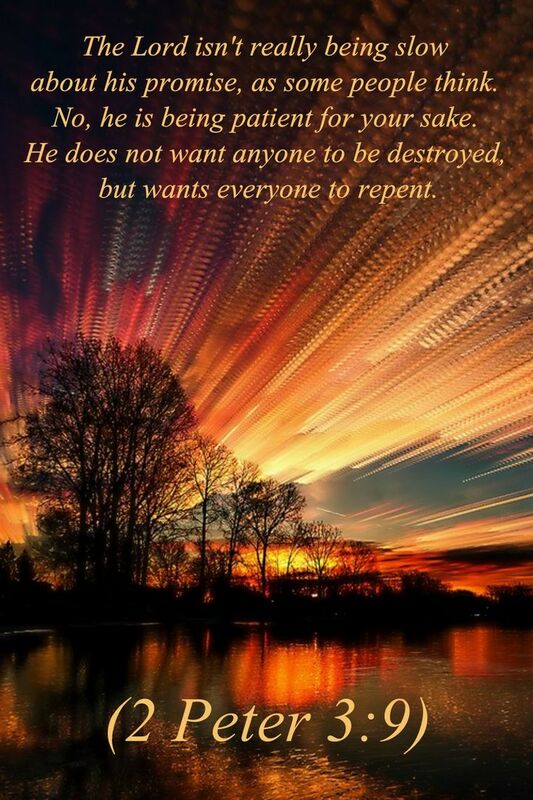 Satan will not have to choose someone, then groom that man to become the Antichrist immediately after the Rapture. Satan already knows who the Antichrist is. He has known since the first century, because it was Satan who energized Nero to be his anti-Christ. The following is another excerpt from Out of the Abyss (after providing examples of how Satan throughout history has acted immediately concerning anything related to Israel, Messiah, and the Church. Such as his temptation of Jesus in the wilderness to turn the true Messiah into Satan’s messiah right then and there). Satan wanted to crush Christianity as soon as he could. Why would he wait for an unknown, unspecified, interminable length of time for the Christian church to flourish? Revelation hadn’t been written yet, so Satan didn’t know the rest of the story. His arrogant ambition and pernicious pattern are always now. That’s why he selected Nero to be the king prophesied by Daniel. Alas, the rebellion abruptly ended; rudely interrupted when Satan’s superman left the scene before all the terrible things Satan wanted to do could be completed! Satan must have been furious at Nero, at the Roman Empire, at the Church, and at Christ… (Page 226). Messiah Jesus could have chosen to Rapture the believers at any moment after his ascension back to heaven, especially after Revelation had been written. If he had done so, then the prophetic events of the last days would have begun to unfold rapidly … within days or weeks. Thus, the Antichrist MUST HAVE ALREADY BEEN ON THE SCENE. Indeed, he has been waiting since the first century, albeit confined to the Abyss! All the devil needs do is to wait for his man of lawlessness to be released from the Abyss and ascend from the sea (Abyss); which is exactly what Scripture tells us will happen (Revelation 12:18, 13:1, 17:8). And could have happened in the first century, or second, or third…. Now for the passage mentioned in the beginning of today’s article; the one that convincingly confirms that the Antichrist beast seen by John was already past tense! But would become future tense at the outset of the Tribulation. Said the angel to John: “Why are you so amazed?… I will tell you the mystery of this woman and of the beast with seven heads and ten horns on which she sits. The beast you saw was once alive but isn’t now. And yet he will soon come up out of the bottomless pit and go to eternal destruction. And the people who belong to this world … will be amazed at the reappearance of this beast who had died” (Revelation 17:7-8, italics for emphasis). The Greek word for soon means momentarily, but more so it means abruptly or suddenly. All of John’s visions, including this one, took place in the present (time) … on a Sunday from the Isle of Patmos in the 1st century A.D. In this second vision of the beast, the angel revealed the full “mystery” of the beast to John. It was another extraordinary disclosure of the beast’s identity to go along with his number presented earlier in Revelation Chapter 13. Both revelations would mesh perfectly with Daniel’s prophecies of a ruler who would arise (shortly) after Messiah was killed and whose armies would destroy the Temple (Daniel 9). As well as Paul’s reminder to the Thessalonians that this man of lawlessness and the secrecy of that lawlessness (plot to kill Nero’s step-father Claudius, making way for Nero to succeed Claudius as Caesar), was already being (temporarily) held in check. 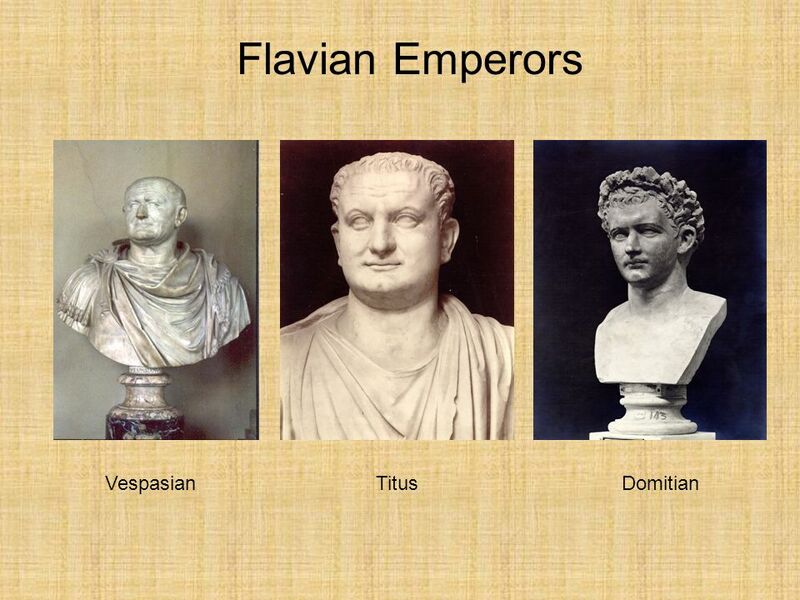 II Thessalonians was written 2-3 years before Nero lawlessly became Emperor. The identity of the beast could and should be known by any generation. The Christians of the first century had the Biblical tools coupled with recent and current events to solve the clues and ascertain the identity of Antichrist BEFORE the Rapture, not afterward. As have all generations since, including ours! Nowhere in Revelation does John state or even imply that the identity of the beast could not be known until after the Rapture. That is an assumption made by contemporary prophecy students (including me at one time) who cannot let go of the premise that the Antichrist must be a modern-day born man like all rulers before him in their time. One of several problems with that is the fact that the Antichrist beast will (re)appear from the Abyss, something no man has ever done before. Nor will he be killed during the Tribulation, because he had already lived and died before Revelation was even written. Nero’s reappearance from the Abyss is just one of several supernatural (apocalyptic) events that will supersede the natural order of things during the Day of the Lord, including the otherwise normal birth of a modern-day Antichrist. It will be Nero’s miraculous (in the eyes of the world) reappearance 2,000 years later that will stun those left behind at the Rapture (Revelation 17:8; Revelation 13:3-4). In the first chapter of Revelation, Jesus told John to: “Write down what you have seen—both the things that are now happening and the things that will happen” (Revelation 1:19). 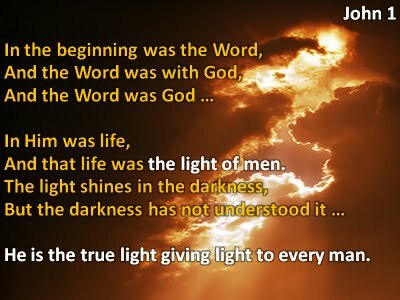 The “things that are now happening” when John saw his visions also included some recent events in his life and the lives of first century believers. The Lord wanted John, all first century Christians, and those thereafter to understand beyond doubt that Revelation was not restricted just to future events. Other than the first three chapters of Revelation including the letters to the seven churches, most believers and even Bible scholars think in terms of the remainder of Revelation applying exclusively to future events. NOT SO. There are several present and past tense occurrences in Revelation, such as the seven kings—five of whom had already fallen (died). The (Antichrist) beast was one of these seven kings; one of the five who had died. Then in the last chapter of Revelation, the angel instructed John not to withhold or postpone the writing and distribution of Revelation (all part of “sealing” a book). In fact, ALL of Revelation was immediately relevant to believers.. Nothing in the book was hidden from meaning (with wisdom and understanding) and none of the mysteries were left unsolved. Both secular and Church historians of the 1st through 5th centuries recorded that many Christians of their time believed that Nero would return as the beast of Revelation. Also, many Romans believed Nero either hadn’t died or would somehow return from “a distant region” and resume the throne as Caesar. This phenomenon was even given a name: Nero Redivivus Legend. All I’m doing is refitting the prophetic puzzle that had been correctly assembled by the early Church but disassembled and inaccurately pieced together in our generation. I’m not reinventing the wheel. Rather it’s the same wheels of prophecy used by the early believers in their journey through the annals of Biblical events relating to the last days. We are currently in the last of the end-times last days. The early Christians understood John’s prophecies were meant for them. They weren’t thinking about future generations any more than we would if we fully expected something to happen in our lifetime. Via Paul, they understood that Nero was the man of lawlessness. However, not until Revelation was penned would they match the man of lawlessness with the beast, realizing they were one and the same. Nor could they conclusively correlate the ruler (book of Daniel) to Nero until he died, and his armies demolished Jerusalem and the Temple. While alive, Nero had personally dispatched Roman Generals Vespasian and Titus to crush the Jewish rebellion that began in 66 A.D. Once all those things happened, then the Christians knew! When our great and glorious Messiah/Savior Jesus makes his final descent from heaven to vanquish Satan, Antichrist, the False Prophet, and their massive armies, we believers will ride with him (Revelation 17:14 & 19:14)! If you don’t know the Lord and are among those left behind at the Rapture, you’ll soon know who this man of sin is. My hope and prayer for you is that you will not be shocked at Antichrist’s identity when you see that it is Nero. That this, along with all the other prophetic events developing before your eyes, will instead direct your amazement toward God’s Word the Bible and to the Living Word of God—Messiah Jesus. All these things were, indeed, foretold long ago. But why wait for the greatest calamity of all time to unfold to choose the true Messiah, Jesus of Nazareth? A terrible time of tribulation in which believers will experience horrendous persecution … most will be killed. Or, you may die before the Rapture. Call upon the name of the Lord and you will be saved. Today is the day of salvation. Choose Messiah Jesus now as your Savior and go up with other believers to heaven when Jesus takes us home at the Rapture. Then you can ride down with him from heaven and be part of the tremendous victory over Satan and his anti-Christ. Some of us won’t be the least bit surprised when we see who the beast is, especially the early Christians! Even more so, the thousands of believers who were put to death by Nero in the first century. They will appreciate Jesus’s resounding Armageddon victory over and eternal destruction of this evil man as much or more than anyone. The book of Daniel has been unsealed and Revelation remains unsealed. These open prophecies include EVERYTHING written in them—in all of Scripture. Don’t seal up a few by thinking they (the basics of them) cannot be known, including the identity of Antichrist. There are only two passages in the New Testament in which the reader is issued a challenge to comprehend. Both pertain directly to Antichrist and his identity (Revelation 13:18 & Revelation 17:7-11). Above all: We know that the true Messiah is Jesus–Son of God, Son of David, Son of Man. He is: KING of all kings … LORD of all lords!